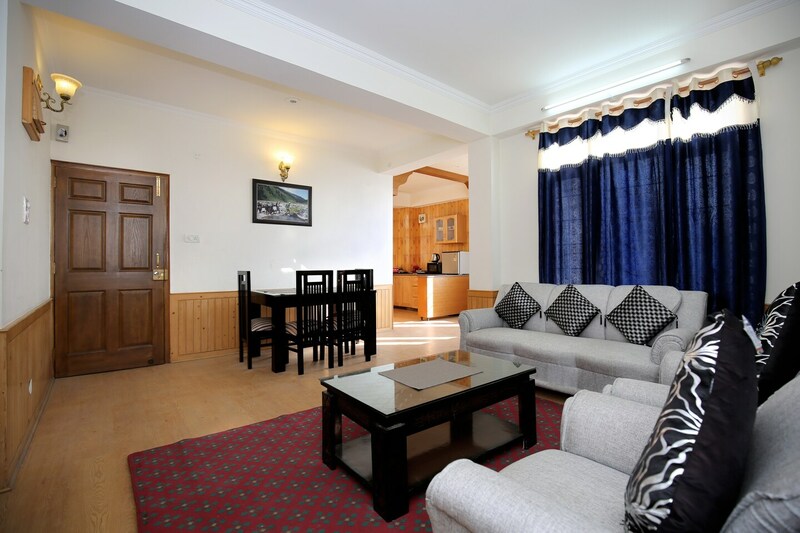 The Hill View Mehli House is located at Shogi bypass, the mountain abode of Shimla. The property with mountain view is cozy and well equipped for a relaxed, leisurely time for the guests. The house has a living room and a dining area equipped with a refrigerator, a mini fridge, a room heater, TV and geyser in the bathroom. The tidy kitchen is functional. Beautiful beds, modern amenities, make the stay pleasant. The Basant Bihar bus stop is very close to this accommodation. Restaurants and a shopping complex are also located at a walking distance.